Let our caring and professional staff put our technology and training to work for you and your family. Whether it is routine dental care or a complete smile makeover, we will always treat you like family at Scheich Family Dentistry. Give us a call (720-733-7799) to see how easy going to the dentist can be. 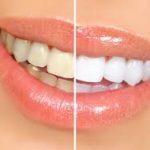 Do you need a quick and effective way to whiten your teeth? 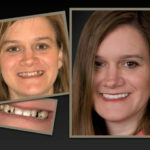 Scheich Family Dentistry has been using Phillips QuickPro Zoom for a year and has seen great results. 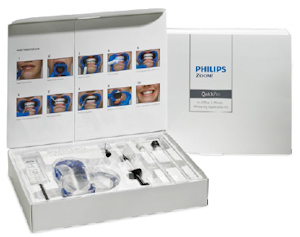 Phillips QuickPro Zoom is the first dual-layer whitening varnish technology, offering a noticeably whiter smile in just one in-office application. The 20% hydrogen peroxide whitening varnish is followed by an innovative sealer layer that dries in seconds and locks the hydrogen peroxide layer into place. The sealer layer keeps the whitening varnish from getting onto soft tissue, while the low volume formula leads to virtually no sensitivity. You leave the office after a 10-minute application and simply brush or wipe off the thin film 30 minutes later. It is highly affordable, increasing accessibility and creating brighter smiles for special moments everywhere. We can pair QuickPro with a take-home treatment to provide a quick-start to whitening, giving patients confidence boosting results in less time. It’s a fast, effective addition to a regular checkup, and for patients, the superior results can make all the difference. Please give us a call at 720-733-7799 to learn more about brightening your smile! Please call our office for more information, 720-733-7799. 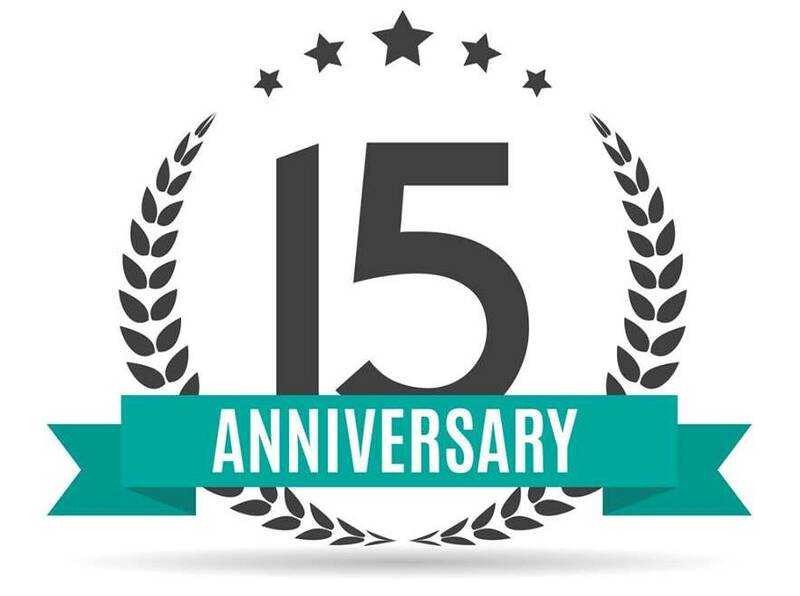 We recently celebrated our 15 year anniversary of providing dental care to this community. We started this practice in 2003 with the goal of making your trip to the dentist as comfortable as possible. Drs. Jeff and Stephanie Scheich strive to provide the highest quality of dental care to each and every patient. Over the years, we have grown and have assembled the BEST team to serve YOU, our patients. Thank you for trusting us and we look forward to seeing you at your next visit! We recently completed a cosmetic case on a young girl. She had congenitally smaller lateral incisors. 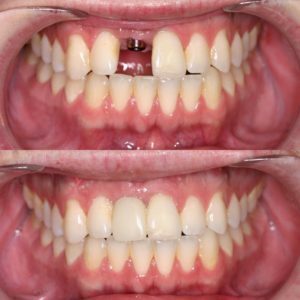 After orthodontic treatment was completed, there were spaces adjacent to the other teeth due to the size of the lateral incisors. 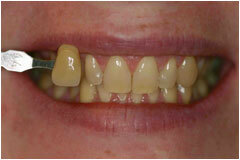 Cosmetic bonding was added to each tooth to correct size, shape and spacing. The bonding created a natural looking appearance of these teeth in relation to the adjacent teeth. Scheich Family Dentistry is located in Castle Pines, CO although we see many patients from surrounding areas (Highlands Ranch, Lone Tree, Castle Rock, Sedalia, Littleton, Metro Denver, etc.). We are located off I-25 and Castle Pines Parkway. We are in the medical/dental building just east of the Walgreens on the north side of Castle Pines Parkway and we are upstairs in suite 202. Drs. 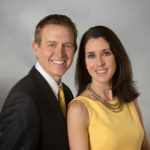 Jeff and Stephanie Scheich have been extremely active in our community since opening in 2003 including donations to local schools, presentations to children on dental care, donations to several churches, providing hygiene items to a local orphanage and help center for abused children, donating services for a full mouth reconstruction for Mother’s Day makeovers, hosting events in the community, donating services to low income children and many others. 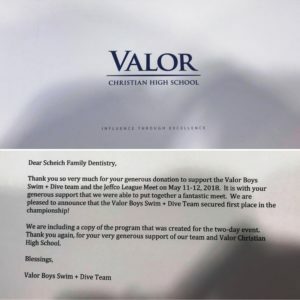 They have a huge heart for helping people in need all over the Metro Denver area. Cosmetic dentistry utilizes the most up-to-date restorative materials to correct appearance, alignment, size and shape of existing teeth. 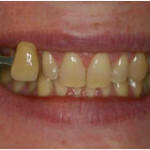 This patient had significant wear on many of her teeth as well as some decay present. We placed all porcelain restorations on her upper and lower teeth. These porcelain restorations are extremely “life like” and provided this patient with a gorgeous new smile. 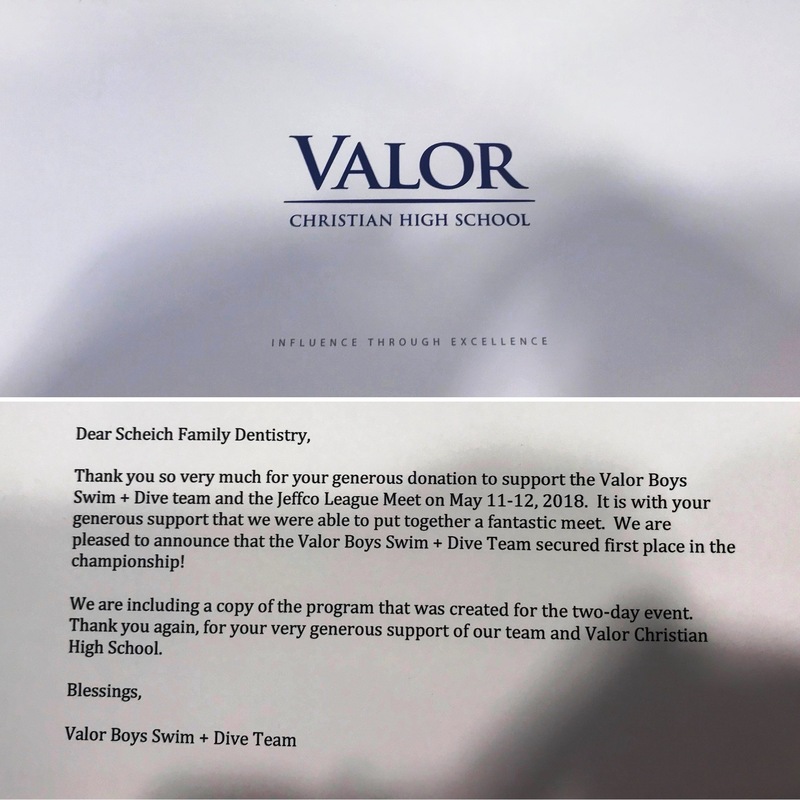 Scheich Family Dentistry enjoyed supporting the Valor Boys Swim and Dive team. Congratulations on 1st place in the championship! If you are looking for a dentist in the Castle Rock, Castle Pines, Lone Tree or Highlands Ranch area, we have been providing dental services to families for 15 years. Please check out our website (www.ScheichFamilyDentistry.com) for more information on our doctors and staff, services we provide, insurances we take, directions to our office, awards we have received, educational videos, a patient library, community service we have done and a smile gallery. There are also links provided to leave us a review or get connected to our Facebook and Twitter page through our website. We look forward to serving you! There are two types of molecules that trap color and stain into the teeth. Over time, the color molecules collect on the surface of teeth and slowly penetrate into the teeth. These molecules join together forming larger, darker molecules. Young teeth have not accumulated as much debris so you can see teeth become extremely white, extremely fast. 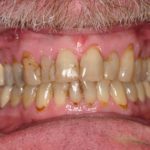 On the other hand, older teeth are so densely packed with debris that they cannot absorb bleaching factors as effectively so the process may take longer. KoR Deep Bleaching: in-office and at home bleaching trays. This is most effective on tetracycline-stained teeth. Opalescence: gel used with at home bleaching trays. Wear times that range from 30 minutes to overnight with varying strengths (10, 15, 20, and 35%). Phillips QuickPro Zoom: in-office 10 minute application and simply brush or wipe off the thin film 30 minutes later. We can pair QuickPro with a take-home treatment to provide a quick-start to whitening. Please give us a call at 720-733-7799 to learn more about brightening your smile! 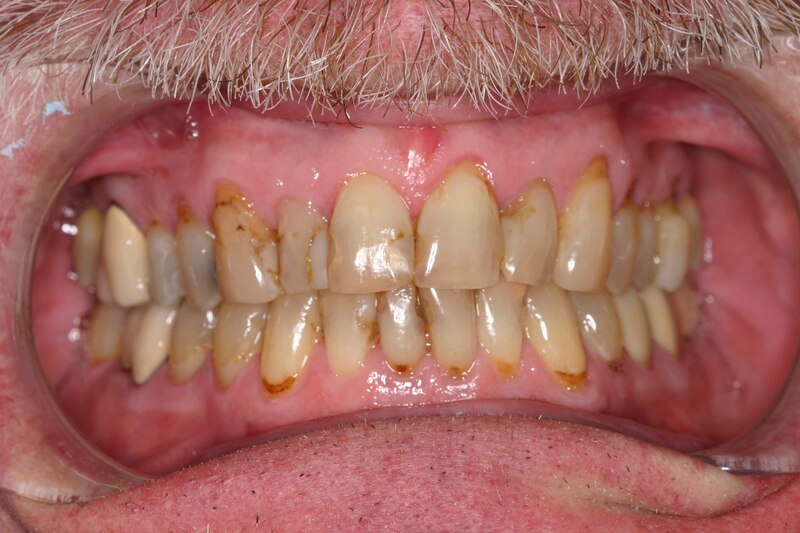 This patient had significant wear on the upper and lower teeth. 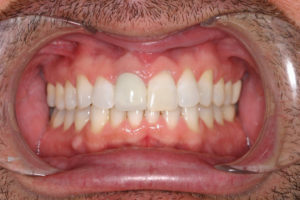 Porcelain crowns were placed in order to correct the bite and alignment. When these were placed, they also provided the patient with a nice aesthetic result. Why have you Dentist administer Botox and Dermal Fillers? Dentists providing Botox and dermal filler procedures? Some people cringe at the thought, but we are here to tell you that you don’t have too. Botox and dermal fillers actually have an imperative place in dental practice (whether it be for cosmetic or medical reasons), and the science behind what it does and why it works can prove why it’s so fantastic. In fact, dentists are the ideal practitioner to distribute the treatment to their patients over other physicians. The world of oral health holds many secrets, but Botox and dermal fillers are one secret that we want you to know about. Why have your Dentist administer Botox and dermal fillers? As dentists, we specialize in the oral and maxillofacial areas at a level higher than any other practitioner, which is why we make optimal candidates for administering Botox and dermal fillers. The training we go through regarding these areas (head, neck, and facial region) is extensive, as well as the fact we have everyday experience injecting cranial nerves in sensitive areas of the head. We are also much more familiar with the overall complications that can arise in the facial areas that any other healthcare provider; meaning we will have a more comprehensive understanding of how to treat and remedy any problem that should emerge. And unlike other practitioners of Botox and dermal fillers, we prioritize proper lip to teeth ratio, how the smile with reacts, and how the teeth relate to the soft tissue surrounding the injected areas. By letting your dentist administer Botox and dermal fillers, you will feel more confident thanks to their encyclopedic knowledge of you and your facial muscles. What are the medical benefits of Botox and dermal fillers? Often, most people assume that Botox and dermal fillers are used for just cosmetic purposes such as smoothing facial wrinkles and tightening up collagen. However, Botox and dermal fillers can be used for much more than that; clinical uses include treatment of TMJ, bruxism, and chronic facial pain. It can also be used complimentary to aesthetic dentistry for patients who are having trouble adjusting to new dentures, lip augmentations, or those who need facial muscle retraining. Along with providing so many patients relief from facial discomfort, Botox and dermal fillers have also been related to positive outcomes for people with depression, periodontal disease, and high-stress levels. A study done in April 2009 by Dr Micheal Lewis said that patients who turn to Botox and/or dermal fillers to treat these conditions have reported back as happier than before their treatment. This is said to be because having their ability to scowl or frown decreased results in a more positive mood (it appears our facial expressions reinforce our emotions). So, not only do most leave happier with their overall appearance, but they also are happier due to their enhanced emotional expressions. 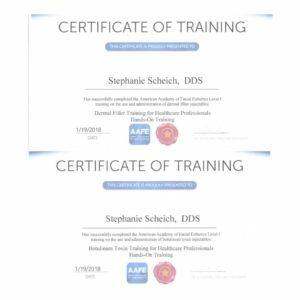 Dr. Stephanie Scheich has recently been certified to administer Botox, Xeomin and dermal fillers. Please give our office a call to participate in our March promotion ($9.00 per unit for Xeomin/$10.50 per unit for Botox), 720-733-7799. 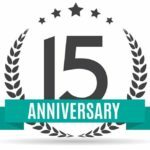 Scheich Family Dentistry has been providing dental services to families in Castle Rock, Castle Pines, Lone Tree and Highlands Ranch for 14 years. Drs. Jeff and Stephanie Scheich perform all dental service procedures start to finish in our state-of-the art office to ensure the highest quality of care. We want all of our patients to be informed decision makers and fully understand any dental issues you face. That’s why we’ve developed a website (www.ScheichFamilyDentistry.com) loaded with valuable information about family dentistry, dentistry in general, dental problems and dental treatments. We encourage you to visit this site whenever you have concerns about your oral health. Let our caring and professional staff put our technology and training to work for you and your family. Whether it is routine dental care or a complete smile makeover, we will always treat you like family at Scheich Family Dentistry. We are proud to be included in the list of 2017 Top Dentists in the 5280 Magazine. 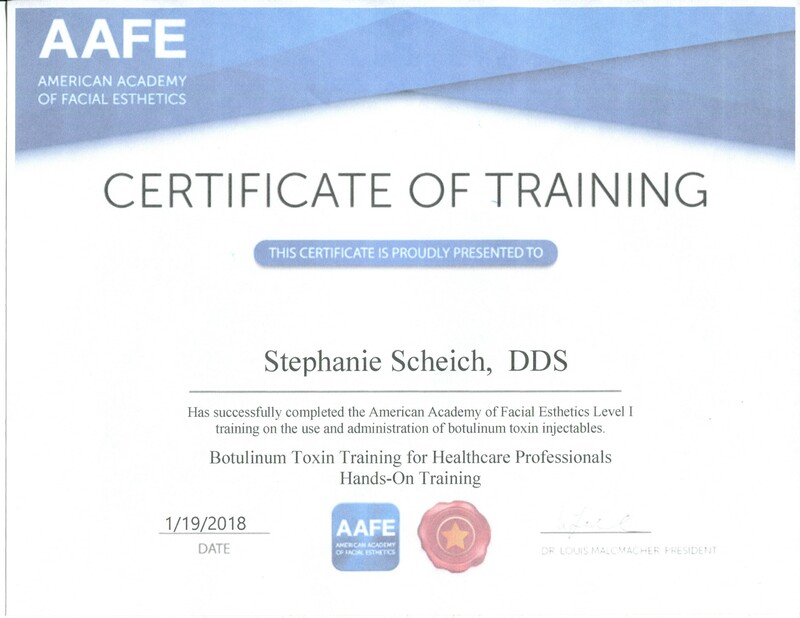 We are excited to announce that Dr. Stephanie Scheich has joined the American Academy of Facial Esthetics and will be getting certified in both Botox and dermal filler in late January. Stay tuned for information on scheduling. Start the new year off by looking your best with these non-invasive cosmetic enhancements! One of the worst times of year to deal with a toothache, cavity or other dental problem is when you are about to enjoy all of that delicious holiday food set out on the table, is it not? It can also become quite complicated when it happens while you are out of town on holiday vacation with no way of getting back to your dentist to deal with the problem. 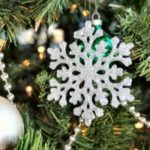 Some dentists even close for the holiday, so if it does happen and you aren’t out of town, you still might not be able to get the help you need. 1. Stress. Stress is a huge contributor to dental problems. When you are stressed, your mood is affected and you are more likely to forget about brushing and flossing your teeth. Others of us tend to eat more sweets and carbs when we are stressed, which can also contribute to more bacteria in our mouths. Another contributor is grinding and clenching your teeth. Many of us do this as a response to stress. However, if you grind and clench your teeth, it could lead to a tooth fracture or erosion of tooth enamel. 2. Missed Appointments. By the end of the year, it is quite possible that you have already used your dental benefits, or they have already expired because you haven’t used them yet. When you don’t attend your dentist regularly, plaque builds up and you are more susceptible to cavities and tooth decay. For more information on the importance of regular dental checkups, see Preventing Diseases with Regular Dental Checkups. Eat sugary foods with meals. While eating sugary and carbohydrate-rich foods is bad, in general, for your teeth, it is better to eat them as a part of a balanced meal. So if you are going to eat those sugary Christmas cookies and cake this Christmas, make sure you eat them with a meal. When you digest larger meals, your body produces more saliva, which washes away the food and neutralizes harmful acids ahead of time so they can’t attack your teeth. Avoid chewy foods or take precautions. Foods that take longer to chew are more likely to damage your teeth. These foods are usually sticky and hold acid against your teeth for a longer period of time. Even nutritious foods could be included in this; foods like raisins, dates and dried fruit. Rinse your mouth after eating. After you consume foods like those listed above and other high-acid foods, rinse out your mouth with water before brushing your teeth so you can prevent tooth erosion. Neutralize acids. If you are not in a place where you can brush your teeth after you eat, try to at least rinse your mouth out with water or chew sugar-free gum to help wash away those food particles, produce more saliva and thereby neutralize the acids in your mouth. Available wherever you go. Keep your toothbrush and a travel-size toothpaste on hand (in your pocket or purse or in your car) so you can brush your teeth right after you eat. Another benefit of brushing your teeth right after you eat is that you will be less likely to eat more food afterward. See a dentist before you leave or when you get back. The best way to prevent cavities and other dental problems from developing during the holiday season is to schedule a dentist appointment early to make sure there aren’t any pre-existing problems. 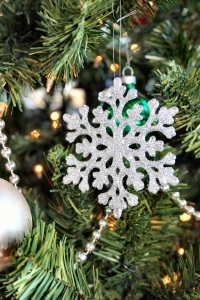 By going ahead of time, you can get your teeth fixed before any holiday festivities begin, or you can at least have them cleaned to avoid the plaque buildup that can occur by missing your regular dental checkups. And if you can’t get to the dentist before you leave for your holiday vacation, make an appointment when you get back so your dentist can help you remove any plaque that built up over the holiday. 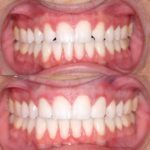 Which techniques should be used to improve your smile? A dental exam at Scheich Family Dentistry will take many factors into consideration, including your overall oral health. Please give us a call at (720) 733-7799 to make an appointment or visit our website (www.ScheichFamilyDentistry.com) for more information. If you are looking for a dentist in Castle Pines or surrounding areas (Highlands Ranch, Lone Tree, Castle Rock, Sedalia, Littleton, Metro Denver, etc. ), we have been providing dental services to families for 14 years. Scheich Family Dentistry was once again named a Top Dentist for 2017 by 5280 Magazine. We are located off of Castle Pines Parkway in the medical building adjacent to Walgreens. 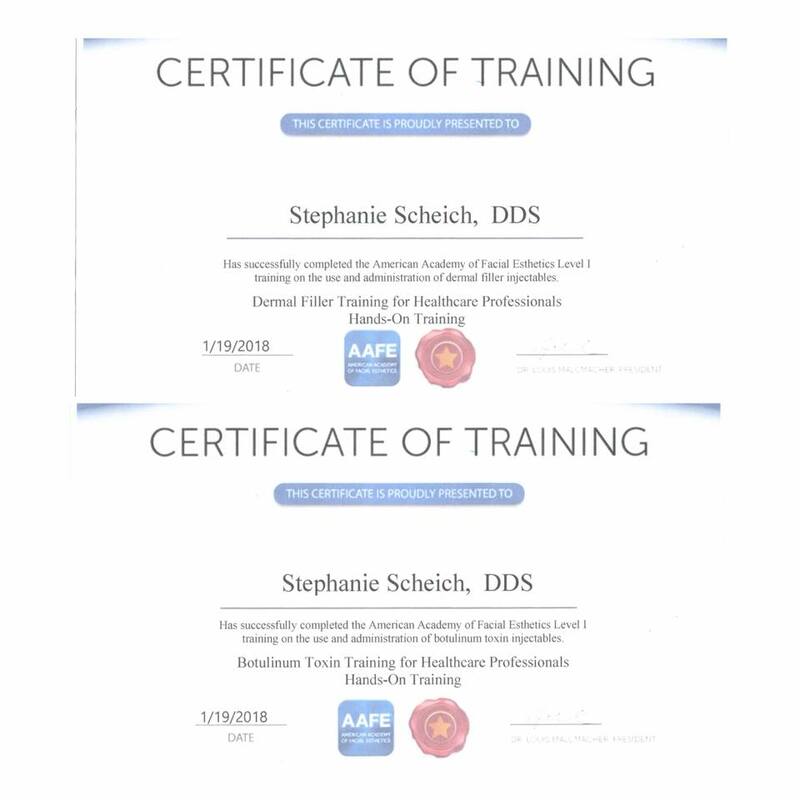 Please check out our website (www.ScheichFamilyDentistry.com) for more information on our doctors and staff, services we provide, insurances we take, directions to our office, awards that we have received, educational videos, community service we have done and our smile gallery. You may also read reviews that have been left by our patients (Google+, Facebook, Yelp). We often don’t think about brushing our teeth until we actually need to do so. That, however, can actually be harmful to your oral health. Your mouth has all sorts of oral bacteria in it, and keeping your mouth clean helps lessen the harmful bacteria that may cause tooth decay. The tools that you use to brush your teeth and maintain great oral health also need your attention! 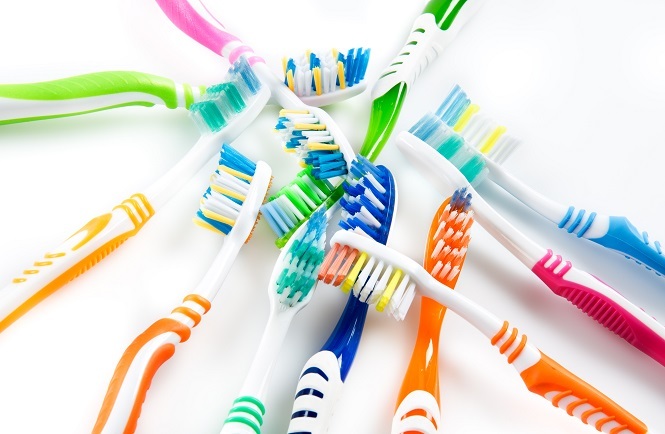 We’ve compiled some “Dos” and “Don’ts” for keeping your toothbrush sterile and teeth healthy. It should be obvious that sharing a toothbrush is unsanitary, but it also has the potential to transfer harmful bacteria and systemic diseases from one person to another. If you share a toothbrush with someone who has a weak immune system, they will be more likely to get sick from it. You shouldn’t share a toothbrush with anyone – not even your family members. Even when you’re in a rush, resist the urge to just throw your toothbrush in your bag. Also, don’t substitute an actual toothbrush cover with a paper towel or a piece of foil – it is not the same. Without a proper cover, your toothbrush can collect dust and germs easily. Do you really want to use it to clean your mouth if it’s dirty? Keep Your Toothbrush Contained at All Times. While it’s important to keep your toothbrush covered when you are traveling from one place to another, at home (or when you arrive at your destination) you need to store your toothbrush in the open. This will help it dry out after use, and prevent the growth of bacteria. Germs can grow fast in a small, moist space. Also, try letting it dry out in an upright position. About every 3 months or so, it’s a good habit to dispose of your current toothbrush and start using a new one. This is just a helpful thing to do regularly to avoid any oral health problems in the future. It goes for electric toothbrushes too – replace the head every few months. You should also replace your toothbrush if you notice signs of wear (bent bristles, etc.). A damaged toothbrush won’t be able to keep your teeth clean! How often do you wash that cup that sits on the counter by the sink? I bet you – like most people – don’t give it a second thought after placing your toothbrush in it for the day. But as you can imagine, those holders can get pretty nasty pretty quickly. Try to give it a good scrub at least once a month to prevent the spread of germs. Provide Distance Between Your Toothbrush and Someone Else’s. It’s a good rule of thumb to keep your toothbrush isolated away from other people’s personal hygiene products – especially their toothbrushes. It’s a great precautionary measure for keeping your toothbrush free from unwanted germs. Rinsing It Before and After Use. You should do doing this regularly, but in case you aren’t – go ahead and start the habit now! Soaking It in Antibacterial Mouthwash. Antibacterial mouthwashes can work as sanitizing agents for your toothbrush. Soak your brush in the mouthwash for a couple of hours every couple of weeks. Using a UV Sanitizer. These sanitizers are becoming more and more popular. They use ultraviolet light to kill microorganisms on your toothbrush. Take a look at some of the best sanitizers on the market, here. Without a clean toothbrush, you could have a lot worse things than cavities to worry about! Take our advice from the points above to keep your brush – and ultimately, your teeth – as clean and healthy as ever. We recently completed another fun cosmetic case. 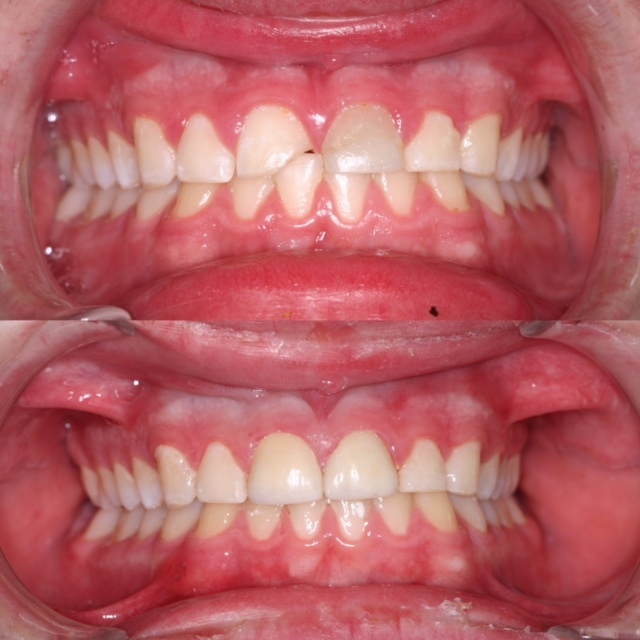 This patient was congenitally missing her maxillary lateral incisors (the teeth next to the two front teeth). With the help of orthodontics, her canines were moved into this area in order to close the space. However because the teeth are canines, they have a more prominent appearance than what a lateral incisor has. 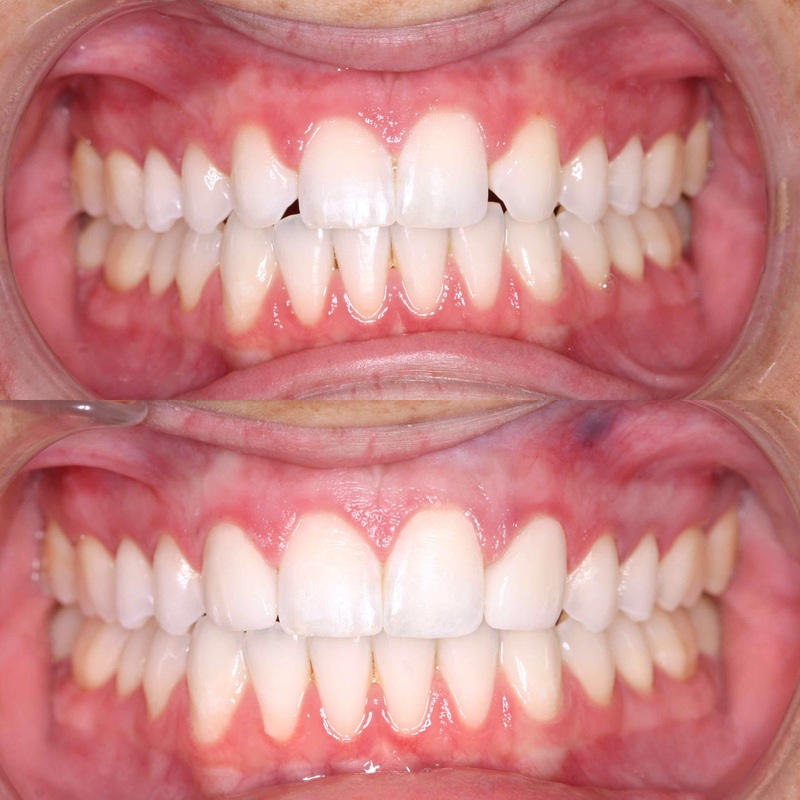 To correct this, we placed porcelain veneers on each tooth to change the shape of them to look like lateral incisors. 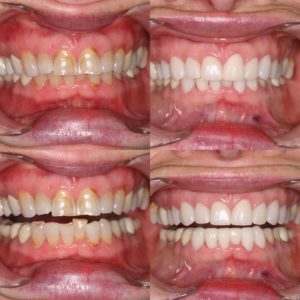 The advancements in cosmetic dentistry has allowed us to provide very esthetic options for situations like this. The nomination pool consisted of all active dentists listed with the American Dental Association as well as the dental academies and societies, thus allowing virtually every dentist the opportunity to participate. Dentists are also given the opportunity to nominate other dentists who may have been missed that they feel should be included in the list. 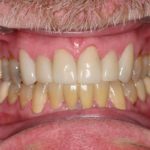 Dentists and specialists were asked to consider years of experience, continuing education, manner with patients, use of new techniques and technologies, and physical results. Respondents are asked to put aside any personal bias or political motivations and to use only their knowledge of the peer’s work when evaluating the nominees. Once responses were compiled, dentists were checked against state dental boards for disciplinary actions to make sure they have an active license and are in good standing. 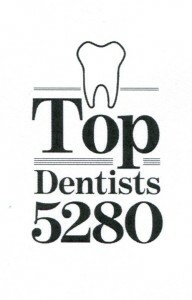 We are so honored to have once again been voted a Top Dentist in Colorado! 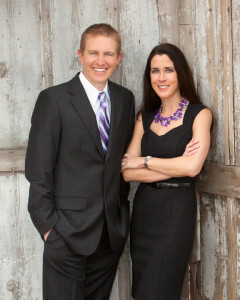 Dr. Jeff and Dr. Stephanie were also named a Top Dentist by 5280 Magazine in 2011, 2012, 2013, 2014, 2015 and 2016. 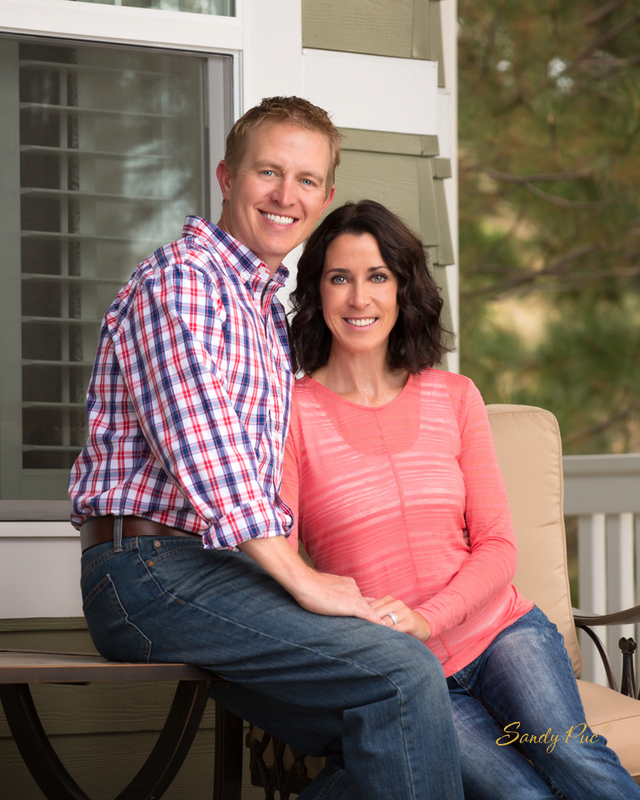 Scheich Family Dentistry has been providing dental services to families in Castle Rock, Castle Pines, Lone Tree and Highlands Ranch for 13 years. Drs. Jeff and Stephanie Scheich perform all dental service procedures start to finish in our state-of-the art office to ensure the highest quality of care. We want all of our patients to be informed decision makers and fully understand any dental issues you face. That’s why we’ve developed a website (www.ScheichFamilyDentistry.com) loaded with valuable information about family dentistry, dentistry in general, dental problems and dental treatments. We encourage you to visit this site whenever you have concerns about your oral health. Let our caring and professional staff put our technology and training to work for you and your family. Whether it is routine dental care or a complete smile makeover, we will always treat you like family at Scheich Family Dentistry. 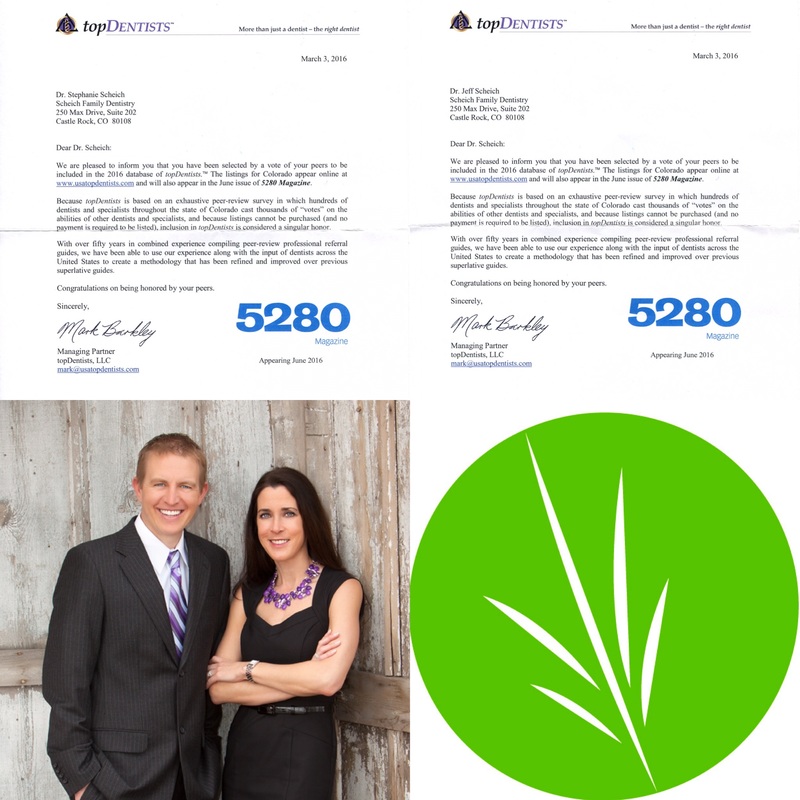 We are proud to be included in the list of 2017 Top Dentists in the 5280 Magazine. One of the biggest advancements in dentistry in recent years has been the placement and restoration of dental implants. Dental implants are used to replace missing teeth. 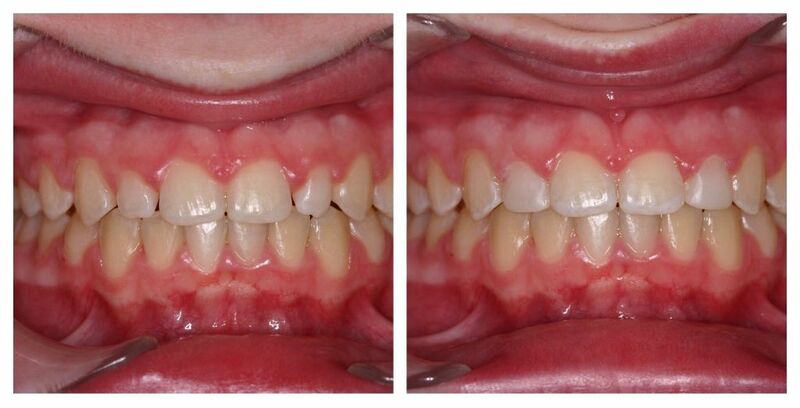 We recently completed a case where our patient had lost his right front tooth when he was a young kid. For years he had worn a retainer with a fake tooth in this area. 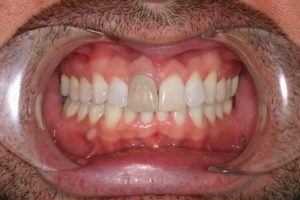 However, now that he is grown, he wanted something that was “more permanent.” A dental implant was placed in the space where the tooth had been lost. 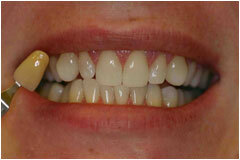 A porcelain crown was then placed over the dental implant to replace the missing tooth. 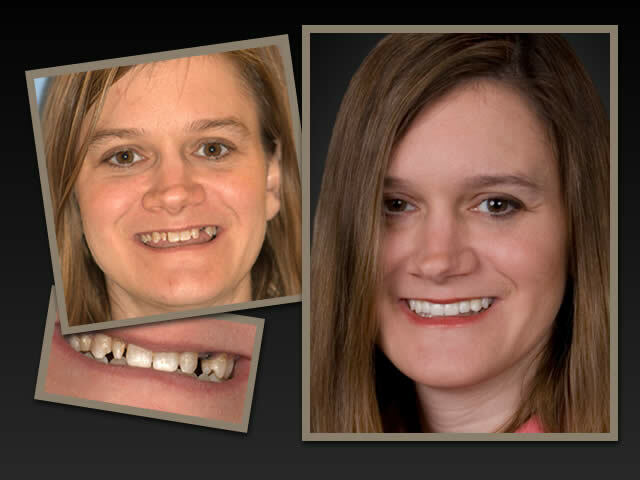 Cosmetic dentistry has allowed us to replace a single, missing tooth with a very natural porcelain crown. 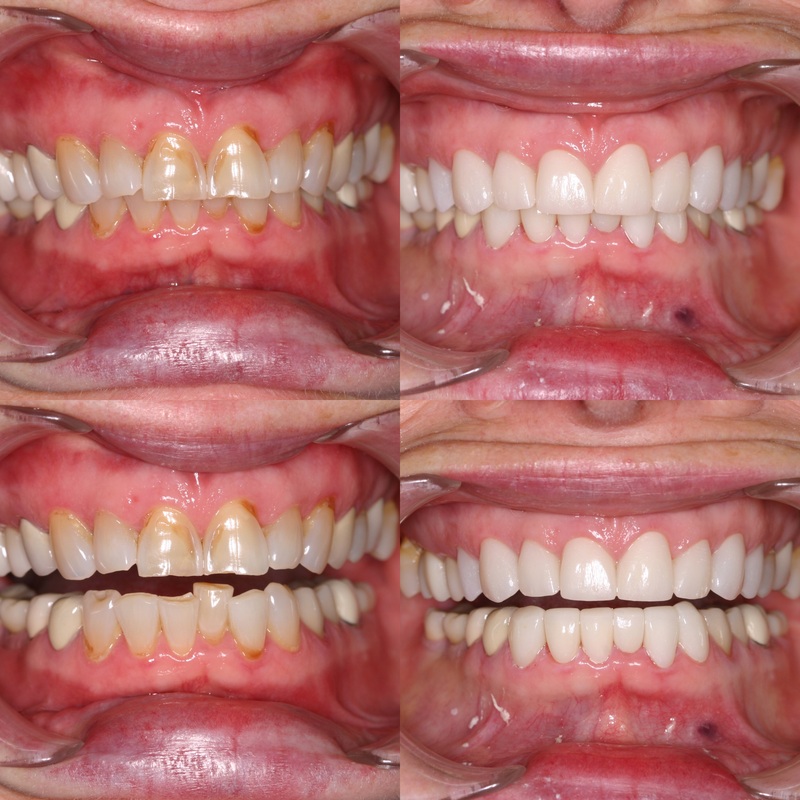 We just finished another fun cosmetic dentistry makeover. 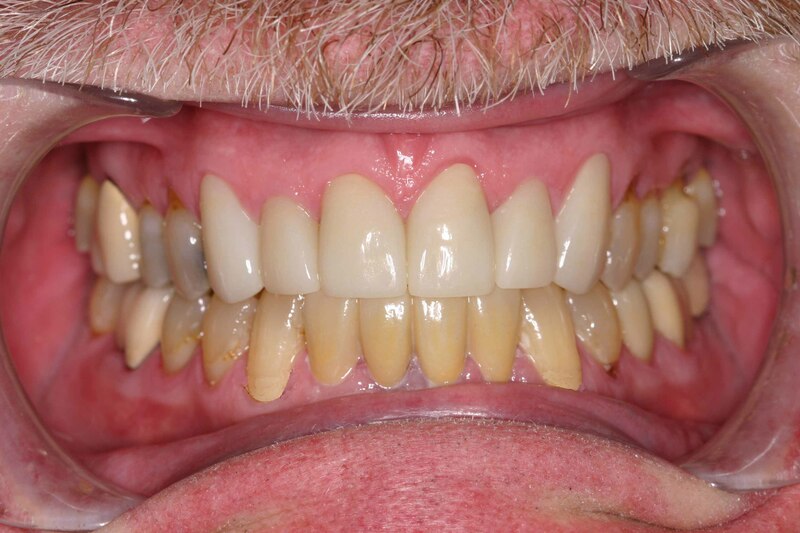 This patient had many upper and lower teeth that had numerous older fillings that were beginning to fail. 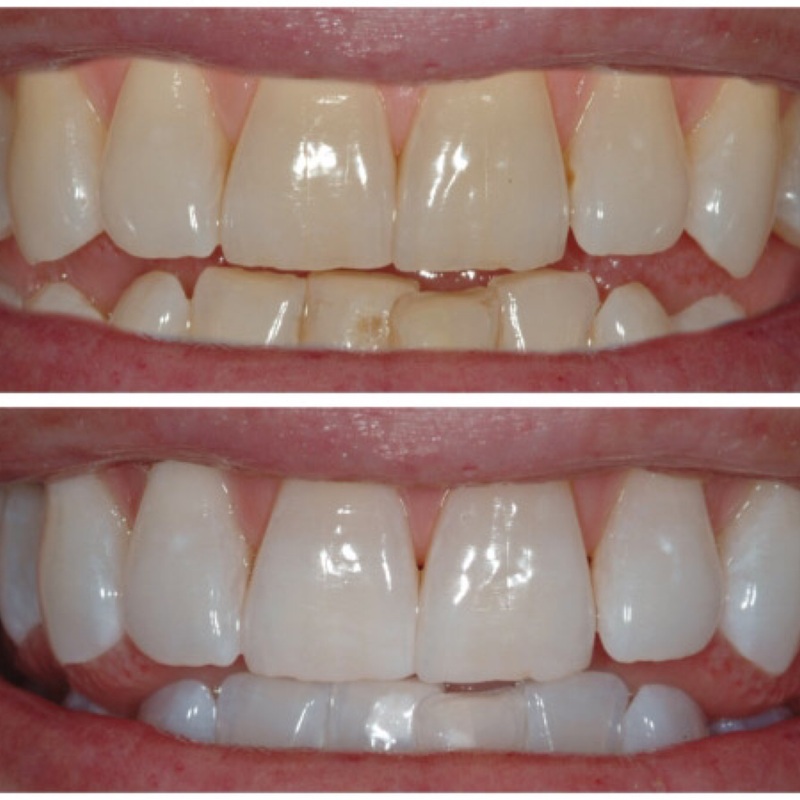 We placed esthetic, porcelain crowns on the upper and lower teeth. What a difference!! 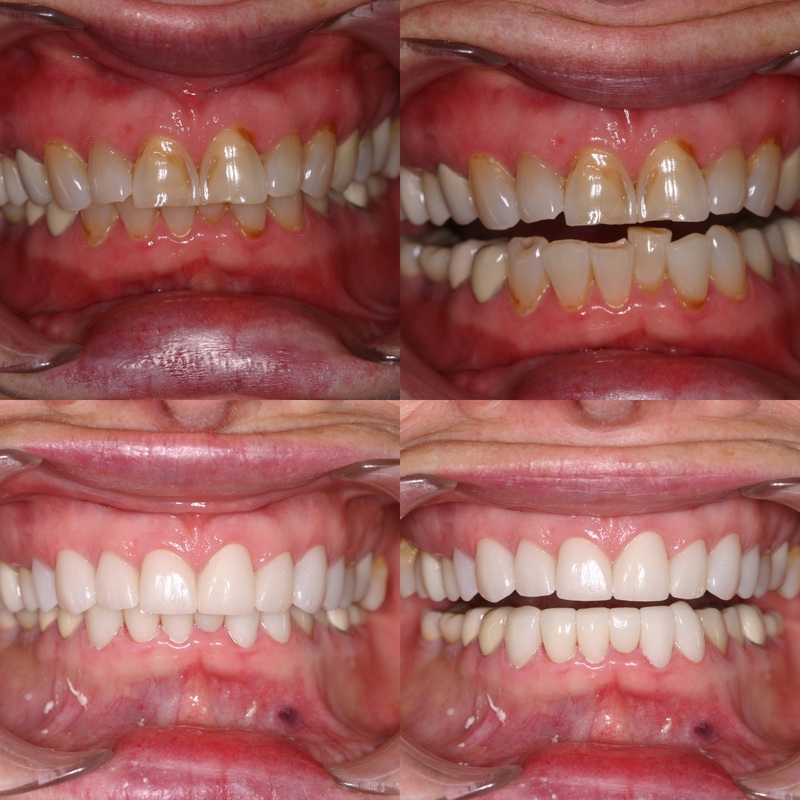 These are always fun to see the improvement that can be accomplished with cosmetic dentistry. If you are looking for a dentist in Castle Pines or surrounding areas (Highlands Ranch, Lone Tree, Castle Rock, Sedalia, Littleton, Metro Denver, etc. ), we have been providing dental services to families for 13 years. 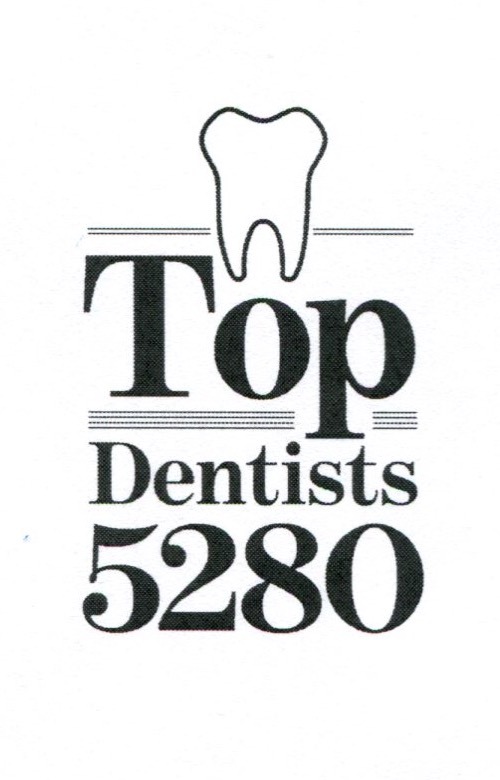 Scheich Family Dentistry was also named a Top Dentist by 5280 Magazine in 2011, 2012, 2013, 2014, 2015 and 2016. We have located off I-25 and Castle Pines Parkway. We are in the building that is just east of the Walgreens on the north side of Castle Pines Parkway and we are upstairs in suite 202. Drs. Jeff and Stephanie Scheich have been extremely active in our community since opening in 2003 including donations to local schools, presentations to children on dental care, donations to several churches, providing hygiene items to a local orphanage and help center for abused children, donating services for a full mouth reconstruction for Mother’s Day makeovers, hosting events in the community, donating services to low-income children and many others. They have a huge heart for helping people in need. Please check out our website (www.ScheichFamilyDentistry.com) for more information on our doctors and staff, services we provide, insurances we take, directions to our office, awards we have received, educational videos, community service we have done and a smile gallery. There are also buttons provided to leave us a review or get connected to our Facebook and Twitter page through our website. Whether it is routine dental care or a complete smile makeover, we will always treat you like family at Scheich Family Dentistry and are here to help (720-733-7799). 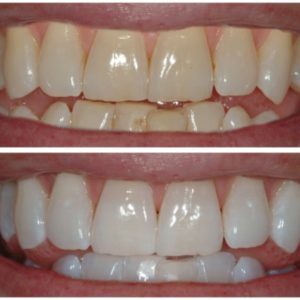 Opalescence: gel used with at-home bleaching trays. Wear times that range from 30 minutes to overnight with varying strengths (10, 15, 20, and 35%). Phillips QuickPro Zoom: in-office 10-minute application and simply brush or wipe off the thin film 30 minutes later. 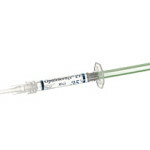 We can pair QuickPro with a take-home treatment to provide a quick-start to whitening. Dry mouth means you don’t have enough saliva or spit, to keep your mouth moist. Everyone has a dry mouth once in a while, especially if you’re nervous, upset or under stress. 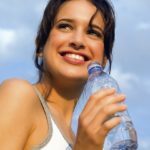 But if you have a dry mouth all or most of the time, it can be uncomfortable and can lead to more serious health problems or indicate that a more serious medical condition may exist. That’s because saliva does more than just keep the mouth wet —it helps digest food, protects teeth from decay, prevents infection by controlling bacteria in the mouth, and makes it possible for you to chew and swallow. Side effects of some medications — over 400 medicines can cause dry mouth, including antihistamines, decongestants, painkillers, diuretics and medicines for high blood pressure and depression. Disease — diseases that affect the salivary glands, such as diabetes, Hodgkin’s, Parkinson’s disease, HIV/AIDS and Sjogren’s syndrome, may lead to dry mouth. Chemotherapy — drugs used to treat cancer can make saliva thicker, or “ropey,” causing your mouth to feel dry. Smoking — many pipes, cigar and heavy cigarette smokers experience dry mouth. A chipped tooth makes an impression — but not necessarily a good one! Case in point: Jim Carrey’s dopey character Lloyd Christmas in the comic films “Dumb and Dumber” and its sequel. Lloyd’s chipped front tooth was a deliberate choice by the actor to make his character appear more “deranged” every time he opened his mouth. Fortunately, it’s easy to repair this type of dental damage. Your dentist has several options at his or her disposal depending on the nature of the chip and whether you’ve been able to locate and save the otherwise undamaged missing piece. It’s important for your oral health as well as your appearance to schedule a dental appointment for evaluation and treatment of chipped tooth. If dental pulp at the center of the tooth has been exposed, your tooth could become hypersensitive to temperature and pressure, causing recurring discomfort. The pulp could also become infected, resulting in a need for root canal treatment. Dental cosmetic bonding is the quickest and lowest-cost option to repair a chip. (That’s how Jim Carey had his chipped tooth fixed in childhood; he had his dentist temporarily “unbond” it for the movie!) Bonding involves the application of a composite filling material that your dentist will color and shape to match the original tooth. Little to no removal of existing tooth surface is needed. If you have preserved the chipped-off portion of a tooth and it is otherwise undamaged, your dentist can use bonding to seamlessly reattach it. Otherwise, depending on the extent of tooth loss, the bonding material can be used to replace the lost portion. 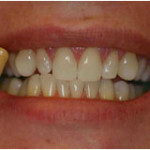 A dental veneer can be used to hide smaller areas of missing tooth. This is a thin, custom-made shell placed on the front of the tooth to give it a new façade. Some removal of existing tooth surface may be necessary to fit a veneer so it is flush with the surfaces of surrounding intact teeth. A crown may be the best choice if a relatively large portion of the tooth is missing. It fully encases the visible portion of the remaining tooth (also known as the crown) above the gum line and is shaped and sized to match the original. It can be made of all ceramic (optimal for highly visible areas) or porcelain fused to metal crowns. In both cases, the material will be colored to match your other teeth. Some of the existing tooth surfaces will be removed to allow the crown to fit over it. 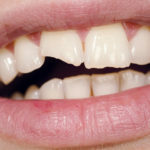 Accidents happen, but there are steps you can take to substantially reduce the risk of ever experiencing a chipped tooth — for example, wear a dental bite guard while playing sports, don’t grind or clench your teeth, don’t crunch on ice chips or hard candies, and don’t use your teeth as a tool for opening things! Scheich Family Dentistry would like to congratulate the Rock Canyon Marching Band for taking 7th of 27 bands in the state at the CBA (Colorado Bandmasters Association) Legend Festival. Good luck at Regionals! Go Jags! Drs. 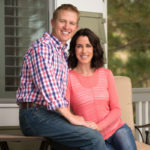 Jeff and Stephanie Scheich support the schools in our serving area (Castle Pines, Castle Rock, Highlands Ranch and Lone Tree) whenever possible. Please check out our website (www.ScheichFamilyDentistry.com) for other ways we have been serving our community since opening in 2003. 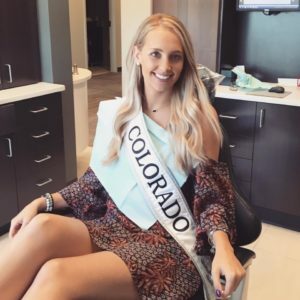 Scheich Family Dentistry has been providing dental services to families in Castle Rock, Castle Pines, Lone Tree and Highlands Ranch for 13 years. Drs. 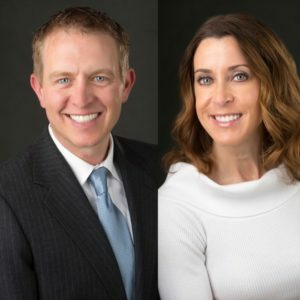 Jeff and Stephanie Scheich perform all dental service procedures start to finish in our state-of-the-art office to ensure the highest quality of care. We want all of our patients to be informed decision makers and fully understand any dental issues you face. That’s why we’ve developed a website (www.ScheichFamilyDentistry.com) loaded with valuable information about family dentistry, dentistry in general, dental problems and dental treatments. We encourage you to visit this site whenever you have concerns about your oral health. Let our caring and professional staff put our technology and training to work for you and your family. Whether it is routine dental care or a complete smile makeover, we will always treat you like family at Scheich Family Dentistry. Give us a call (720-733-7799) to see how easy going to the dentist can be. 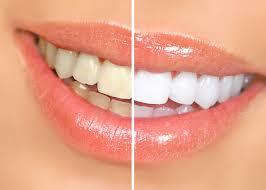 We are now offering a new whitening option at Scheich Family Dentistry! Phillips QuickPro Zoom is the first dual-layer whitening varnish technology, offering a noticeably whiter smile in just one in-office application. The 20% hydrogen peroxide whitening varnish is followed by an innovative sealer layer that dries in seconds and locks the hydrogen peroxide layer into place. The sealer layer keeps the whitening varnish from getting onto soft tissue, while the low volume formula leads to virtually no sensitivity. You leave the office after a 10-minute application and simply brush or wipe off the thin film 30 minutes later. It is highly affordable, increasing accessibility and creating brighter smiles for special moments everywhere. We can pair QuickPro with a take-home treatment to provide a quick-start to whitening, giving patients confidence boosting results in less time. It’s a fast, effective addition to a regular checkup, and for patients, the superior results can make all the difference. Please give us a call at 720-733-7799 to learn more about brightening your smile! We would like to congratulate one of our patients, Shanel Perry, as she was crowned Miss Colorado United States 2016 this past May. We wish her luck as she competes for the Miss United States in Las Vegas on Aug 4th. 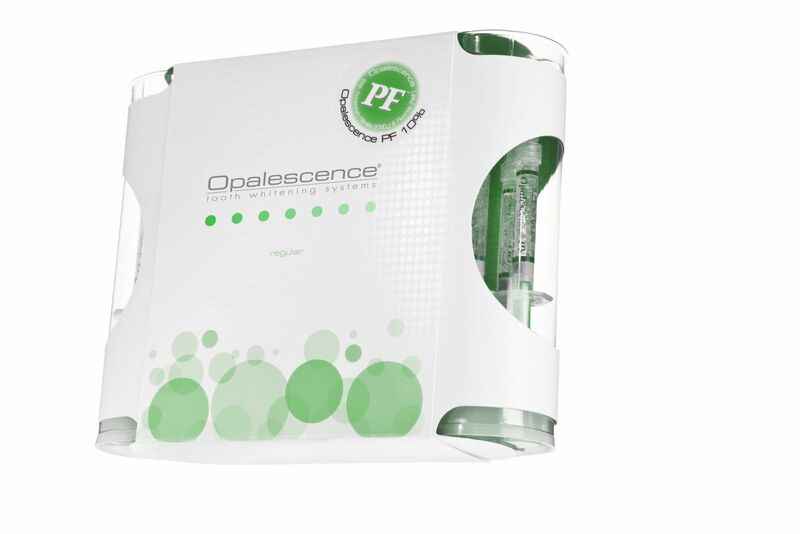 Opalescence tooth whitening gel contains PF (potassium nitrate and fluoride). Potassium nitrate has been shown to help reduce sensitivity. Fluoride has been shown to help reduce caries and strengthen enamel. Together they help to improve the overall health of the teeth. The clear tray material is discreet, sleek and comfortable to adapt to any smile. 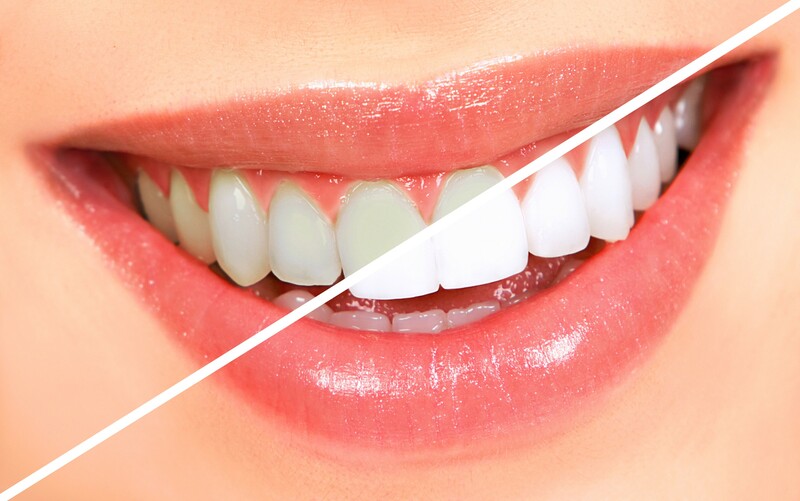 Wear the prefilled, disposable trays with 15% hydrogen peroxide in a delicious mint flavor for 15-20 minutes a day and see incredible results after just a few days of treatment. 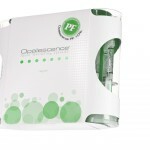 Opalescence is the leader in tooth whitening. 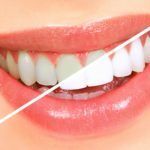 It’s sticky, viscous gel stays in trays longer, for more sustained whitening, and its unique combination of potassium nitrate and fluoride decrease sensitivity, strengthen enamel and help prevent cavities. 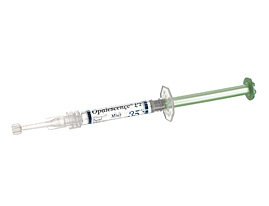 With wear times that range from 30 minutes to overnight, Opalescence PF is available in 10, 15, 20, and 35% carbamide peroxide in a mint flavor. Developed by an internationally renowned cosmetic dentist and bleaching expert Dr. Rod Kurthy, the KöR Whitening Deep Bleaching™ System is used by thousands of dentists worldwide. It is considered to be the most reliable and effective bleaching system ever developed. We are honored to once again be included in 5280’s Top Dentist list. Since opening in 2003, we have built a family practice where individual care and attention is given to every patient. Whether it is preventative care or elective cosmetic treatment, you will receive the very best at Scheich Family Dentistry. We are gladly accepting new patients. Dr. Jeff and Dr. Stephanie were also named a Top Dentist by 5280 Magazine in 2011, 2012, 2013, 2014 and 2015. 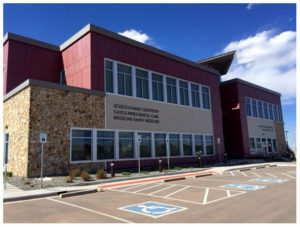 Scheich Family Dentistry is located in Castle Pines, CO although we see many patients from surrounding areas (Highlands Ranch, Lone Tree, Castle Rock, Sedalia, Littleton, Metro Denver, etc.). We have located off I-25 and Castle Pines Parkway. We are in the medical/dental building that was built just east of the Walgreens on the north side of Castle Pines Parkway and we are upstairs in suite 202. Drs. 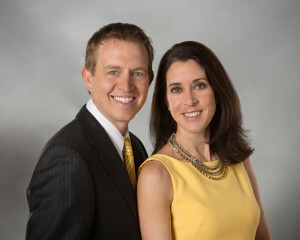 Jeff and Stephanie Scheich have been extremely active in our community since opening in 2003 including donations to local schools, presentations to children on dental care, donations to several churches, providing hygiene items to a local orphanage and help center for abused children, donating services for a full mouth reconstruction for Mother’s Day makeovers, hosting events in the community, donating services to low-income children and many others. They have a huge heart for helping people in need all over the Metro Denver area.